Dr. Zhang pioneered the development of CRISPR, a gene editing technique that can change, delete, and replace any genes in mammalian cells. By applying CRISPR to pluripotent stem cells, he can model complex disorders, such as psychiatric and neurological diseases, which are difficult to model using conventional methods, in order to develop novel therapeutic strategies for disease treatment. He and his lab are continuing to improve upon the CRISPR system and are making the technology available to scientists throughout the world. Dr. Zhang is also widely recognized for his work in optogenetics. 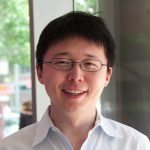 Dr. Zhang wins the Prize for his development of the CRISPR-Cas9 gene editing system, using the technique in human cells. The CRISPR-Cas9 system and later advances, also developed by Zhang, are easy to execute with almost endless possibility for new research enabling scientists to change, delete, and replace any genes of any animal. His methods are being used in immunology, clinical medicine, and cancer biology.